A new Bill threatens the very essence of a woman’s right to bodily integrity and reproductive decision-making, as well as the right to dignity. the Choice on Termination of Pregnancy Act (CTOPA). CTOPA states clearly that every woman, regardless of her age, has the right to a safe abortion. The rationale of the Act is to determine under which circumstances and conditions a woman may terminate a pregnancy. Clearly, the Act places a woman’s agency and autonomy centre stage. Nevertheless, there are still serious challenges facing the implementation of CTOPA nationwide. 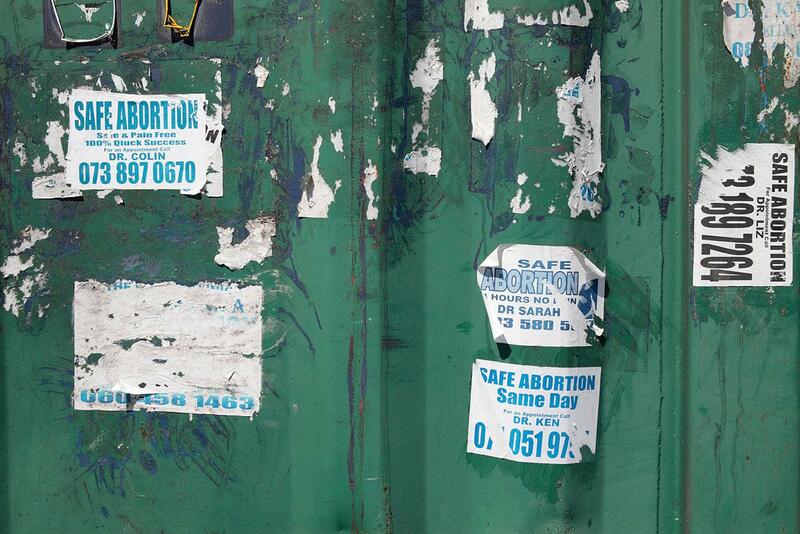 According to HEARD’s, South Africa Fact Sheet on Unsafe Abortion, there is an estimated 50% of abortions in South Africa that occur outside of designated health facilities. Healthcare provider objections to providing abortion procedures result in fewer than half of government-designated facilities providing abortion services. The lack of real access to abortion services – due to lack of facilities and equipment required, and widespread ‘conscientious objection’ to abortion on the part of healthcare workers (including outside the legislated perimeters of such objection) – already violate women’s rights. This points to the need for policy shifts that will enhance access to legal and safe abortion services for women in South Africa – unlike the amendments to CTOPA tabled in Parliament by Member of Parliament (MP) Cheryllyn Dudley in July last year. Dudley, MP for the African Christian Democratic Party, published a draft private member’s Bill, proposing certain amendments to CTOPA. The stated objects of the draft Bill are to “delete certain circumstances in which a pregnancy may be terminated”; and to “ensure that a pregnant woman has access to ultrasound examinations and sufficient mandatory counselling to enable her to make a fully informed choice regarding the termination of her pregnancy”. This would include providing for mandatory counselling of women seeking abortions, including showing them images of foetuses in wombs. The draft legislation is also intended to tighten conditions for allowing a woman to have an abortion in the second trimester, by requiring that a social worker must agree with a doctor’s determination that continued pregnancy would significantly affect the woman’s social or economic circumstances. Further, it would scrap provisions that permit a third-trimester abortion if there is a risk of injury to the foetus. The Bill has been met with fierce opposition; mainly because in reality, the draft Bill aims to limit women’s ability to access safe abortions in health facilities around the country – thereby limiting, without justification, a woman’s constitutional right to equality; dignity; bodily and psychological integrity, which includes the right to make decisions concerning reproduction; privacy; and access to healthcare services, including reproductive health care. Perhaps it is necessary to look at the proposed provisions more carefully. This is further exacerbated by the Bill requiring that the gestation period calculated is confirmed through an ultrasound examination, and introducing additional requirements for facilities that may provide abortion services – namely that the facilities must give access to ultrasound equipment and ultrasound examinations, and must give counselling. These provisions are problematic on multiple fronts. Firstly, our Constitution recognises that women have control over their bodies and reproductive capacities. This is located in a woman’s right to bodily integrity and reproductive decision-making, as well as the right to dignity. Forcing women to carry a foetus to term is an invasion of these rights. Furthermore: properly understood, these rights ensure that the decision to terminate or not is made within the actual context of women’s lives; the removal of the ability of women to obtain an abortion – for social or economic reasons, or if the continued pregnancy would pose a risk of injury to the foetus – violates women’s rights to equality and bodily integrity. Secondly, not all public facilities (as designated by CTOPA) will have ultrasound equipment or the expertise to undertake the tests that would be required by the draft Bill. In truth, ultrasound machines and healthcare workers able to operate them are frequently only found in major hospitals – and not at clinics, which is where women often seek (and are entitled to seek) abortion services. The unavailability of equipment or personnel would be an additional and unreasonable barrier to accessing abortion services. The additional restriction would also not improve the health outcomes of women accessing these services. The Bill proposes mandatory counselling that includes showing images of the foetus in the womb. In reality, the Bill seeks to introduce fear and shame into the counselling process by requiring that women be exposed to images of a foetus, including electronic pictures, diagrams and photographs. This is hidden under the guise of ‘informed consent’. The proposal to force this kind of counselling on a woman who seeks an abortion not only violates the woman’s dignity, but may serve as a barrier to access. This contradicts the rationale of the Act, which is to provide important reproductive health services to women in a way that respects their dignity. Studies have already shown that currently, the way counselling is conducted amounts more to rhetorical scare-tactics, which construct abortion as firstly, a medical procedure associated with a wide range of extreme consequences; and secondly, as an act that contravenes the accepted purpose of ‘mothers’ (pregnant women) to protect their ‘babies’ (foetuses). The Bill would only serve to add to this, in violation of our legislative framework. In sum, the proposals in the draft private member’s Bill seek to roll back the advances in sexual and reproductive health rights gained by women in South Africa since our democracy. This was never an easy battle. The debate we ought to be having should not be around frustrating an already difficult process, but rather on how we may ensure that these services are meaningfully accessible to all women, irrespective of age or social status.